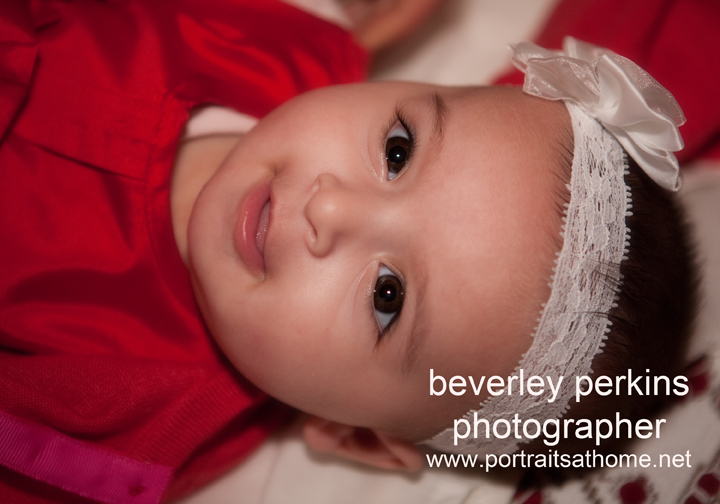 Baby photography includes both on-location, (at home) maternity and newborn sessions, as well as studio shoots. 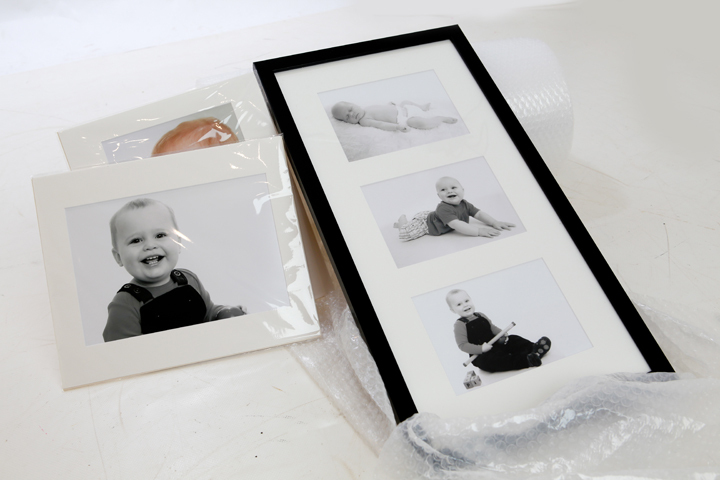 Other events like christenings are included in this section. little girl determinedly crawling to get a ball. fun! Its wonderful to see how their faces change so suddenly as their attention is drawn from one thing to another. Everything is always so interesting and curious when you are this age. Georgia’s next ‘watch me grow” photo session will probably be around her first birthday, when she might bring a lovely chocolate cake to the studio and some helium balloons or bunting and we’ll have a ‘cake smash’. Always hilarious and interesting to see how they react! Last Friday, Abigail brought her new baby brother James for his first photo session in the studio. Whilst Abigail is an old hand at these things now, having been to see me 3 times before, James was not quite so excited and was more calm and interested in all the goings on! What an adorable little boy! Abigail was a great helper though, and I know exactly where to look in a few years when I’m searching for a new assistant! Whilst the trend these days is more in favour of lifestyle sessions at a local park or nearby stately home, (like Wollaton, Clumber Park, or Elvaston Castle), a studio photo session still has a lot to offer, particularly for people with very young babies and children, or more elderly family members, who are cannot manage a 30 or 40 minute walk in the open air. It’s brilliant being able to offer both alternatives, as I think both options have strong advantages and we can always play to their strengths. A studio session means that we don’t have to worry about the weather, but if you want to, we can still step outside for a few minutes into the gardens, to get a feeling of the great outdoors! On the other hand, a lifestyle session offers an opportunity for larger family groups to meet up and have group photos taken together in very informal settings and situations, often where family members are self conscious and don’t enjoy having their photos taken. 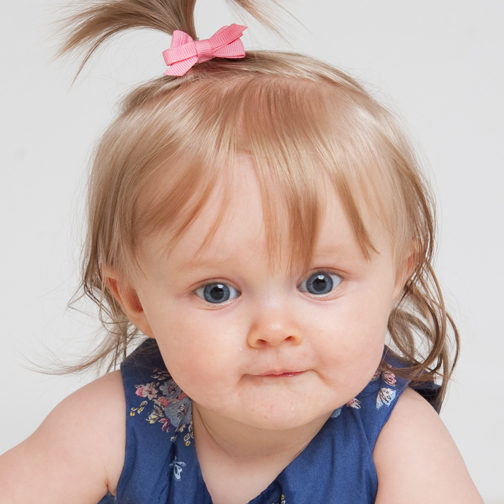 The children can bring bikes, balls and wellies and tear around letting off steam….usually the results are very natural, relaxed photographs that really capture the personalities of the people. The self conscious ones are usually the ones who enjoy it the most, saying afterwards that it was loads better than they had anticipated and the photos are perfect! If you have young teen children who are a bit awkward and starting to become self-conscious, a lifestyle session offers an opportunity to have more photographs with a more “fashion” feel to them, which they tend to enjoy posing for. If you have some ideas for a fun family photo session, please phone for a no-obligation chat 0115 9231537 or to make an appointment to visit the studio and see what its like! Come on sis! Eat up! 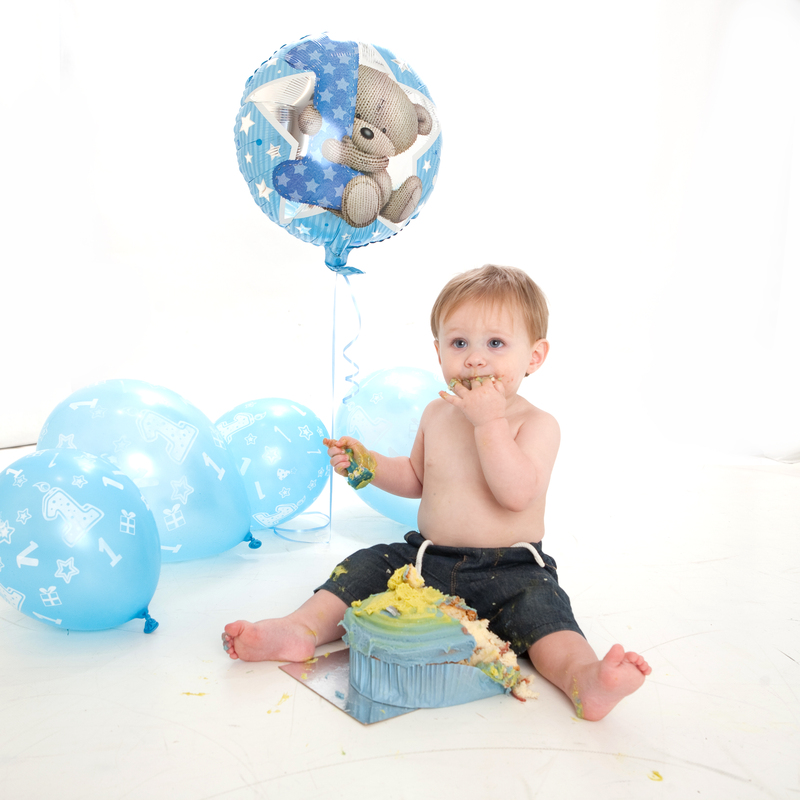 A cake smash photography session is a brilliant way to remember your little one’s happy birthdays! Yesterday, twin sisters Jada-Lee and Avy brought the tastiest Victoria sponge cake to the studio in Edwalton to share for their first birthday cake smash. Mum dressed them in matching fairy tutus and brought a beautiful hand made bunting ribbon with the initials of their names carefully appliqued onto each little flag. That’s one of the best things about cake smash sessions; – people always find such great ways to personalise the sessions and make them particularly memorable for their family. Helium balloons and large empty gift wrapped boxes are fun things to bring. Quite often it isn’t what’s inside the box, it’s either the unwrapping, or the jumping into the box afterwards that makes for the most fun pics! Anyway, I divert!… HOwever, despite their Daddy jumping up and down to entertain them and make them laugh, it was a fairly serious occasion and most of the photographs are very thoughtful munching shots! Like a lot of people, food is one of the girls’ favourite things, making it very difficult for anyone or anything to divert the attention temporarily to capture another funny facial expression. 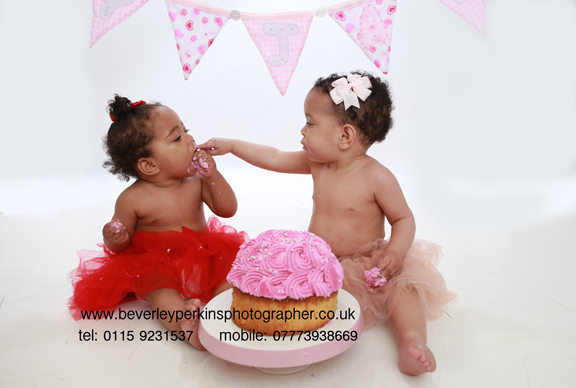 This is my favourite shot from the session showing the girls sharing the cake together. Big AAAAAHHH! It was lovely to see the relationship between the sisters. The bond between twins are always very special. Such delicate, dainty eaters too! Well, sort of! BY the end of the session, they had enjoyed squishing the cake between their toes and obviously a bit was required to mash into the hair as well, but on the whole it was a very civilised affair! In the scale of things, the clear up afterwards was really quick compared to some of the cake smash sessions I’ve done! If you are interested in arranging a cake smash session for your little one read more details HERE or just give me a ring for an informal chat about how to make the most of your cake smash session. It was Baby Gregory’s special naming day on Sunday at The Greek Orthodox Church in Huthwaite. Whilst He enjoyed most of the day and was a delightful, smiling baby, he was not pleased when he was stripped and dunked in the font! Fortunately it was soon over and once he had his lovely outfit on (which he went specially to London to buy from “Treasured Favours”) www.treasured favours.co.uk he was a happy smiling boy once more. After the service, we went to Eastwood Hall for a wonderful sit down meal for all the friends and family and lots of fun photos to make a brilliant memento of the day. The cake, which was made by Susan’s cakes at Newark www.susanscakes.com was something to behold and tasted just as good as it looks! in fact the left page was vanilla and the right page was chocolate! How fattening is that?? Not (?!) as I was assured that christening cakes do not have any calories, which is always a brilliant advantage when you’ve had a few slices! and music, dancing and chatting for everyone else! Interesting stuff you may not know about new babies! Babies are so amazing! 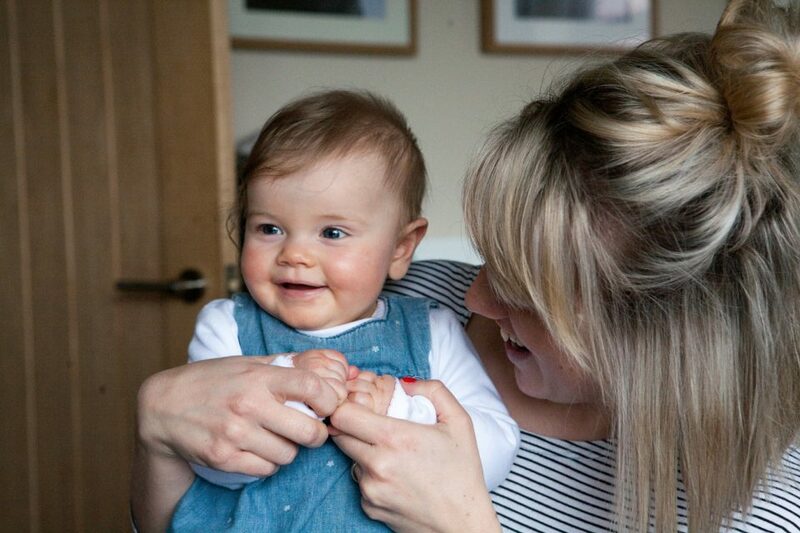 Mums and Dads are always so excited to tell everyone about their new arrival, so I found some interesting facts you may not know about new babies! Babies are born with very sophisticated hearing and can work out where a sound is coming from just 10 minutes after being born. 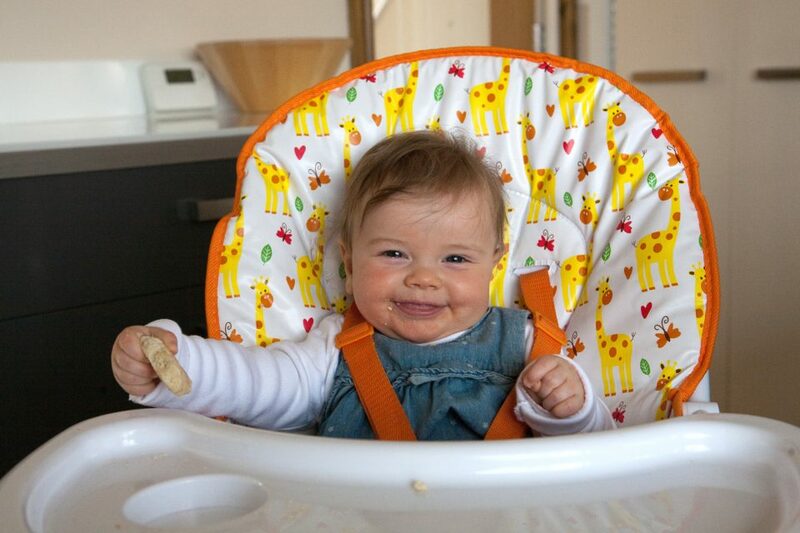 Up until 7 months old, a baby can breathe and swallow at the same time. Scientists in Norway videoed babies who were delivered onto their mothers’ tummies, and found to their astonishment that if left to their own devices, the babies used their limbs in a slow but coordinated way to crawl up and reach the breast where they then latched on and fed unaided. Psychologists have found that babies as young as just 2 days old can recognise their mothers from a tape recording of only one syllable. When babies are born they have 300 bones, that’s 94 more than an adult. They fuse together as they grow to become 206. Your baby is born to smile. We know this because blind babies also smile, so it’s not just copying. Your baby is sensitive to temperature and although she can’t throw off clothing or bedding to cool down, she can do other things. When she is cool she will move around more and when she is warm she will lie as if sunbathing, with her arms and legs flung out to the side. You can use these signs to work out if your baby is too hot or too cold. 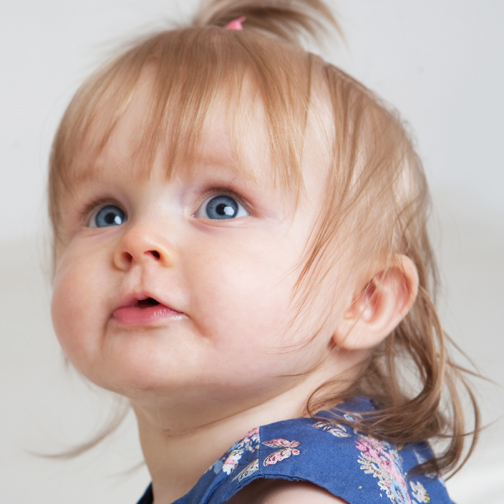 Your baby’s sense of smell is much stronger than yours and he will use it to get to know you in the early weeks. To help him, try to avoid really strong perfumes, deodorants or washing powder and be aware that some household smells may be quite overpowering for him. At birth it takes your baby between five and 10 minutes to get used to something new, but by 3 months it will only take between 30 seconds and two minutes. And at 6 months, your baby will adjust in less than 30 seconds. It is estimated that if a baby continued to grow at the rate he does in his first year, by the time he reached adulthood, he would be as tall as Nelson’s Column in London. Your newborn baby prefers human speech to any other sound, which is why, when she is older and learning to talk, she will try to imitate human sounds rather than inanimate noises such as the telephone ringing. Your baby could sense how you were feeling even in the womb! Researchers asked pregnant mums to listen to various types of music through headphones and then measured their babies’ movements with ultrasound. Most babies became more active when the music was on, especially if their mum was listening to music she liked. What is fascinating is that the babies could not hear the music ‘ it was only audible to the mums, so the babies were responding to their mums’ emotional responses to the music. 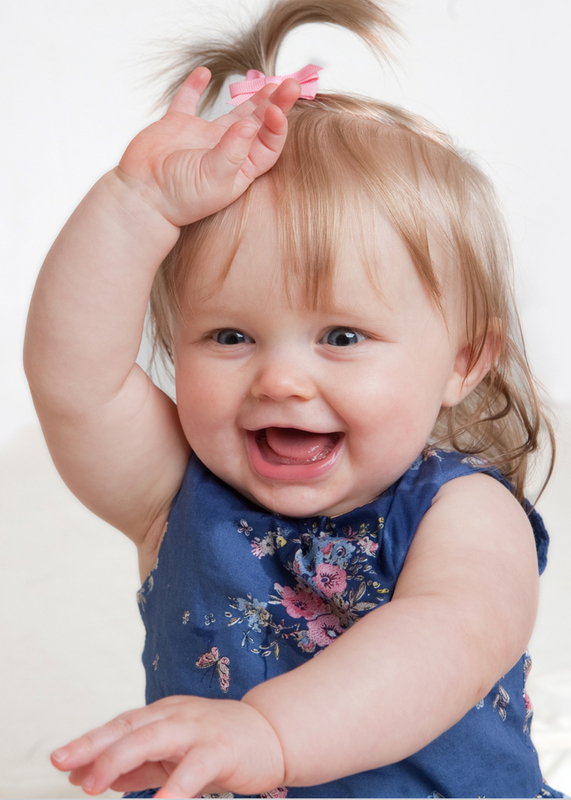 In a baby’s first year, it’s brain will double to become half its adult size. Baby Joshua brought his Mum and Dad to the studio at the weekend to have his photograph taken, to mark his first birthday. The cake, (which I understand, was exceptionally tasty) was a simple Victoria sponge with butter icing and raspberry jam. There was a real party atmosphere too, as Joshua’s Mum had also brought balloons, presents and other party goodies. Mind you, he was not as bothered as you might think, but loved the candle, which he was determined not to part with! All the same, it was lovely to hear him gurgle and chuckle and to see his sweet little toes, curling up with the scrumptiousness of it all! No doubt, there will be plenty more cake and goodies when his family and friends meet up for his official birthday party. 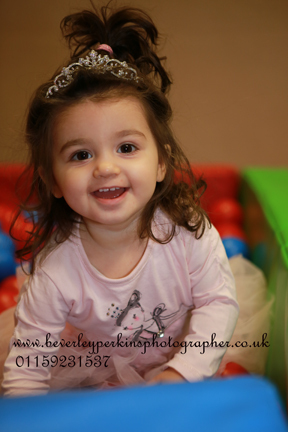 If you are interested in arranging a cake smash for your baby, whether its their first or twenty first birthday, please phone to have an informal chat about the options and view some samples.